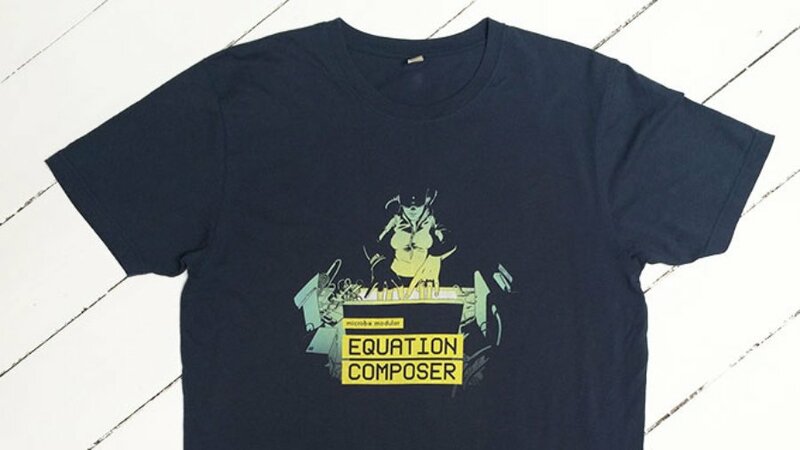 Another amazing design from Hannes Pasqualini, this time careful attention has been made to the choice of colour of T-shirt for a superb use of space in the design - it is only available in Equation Composer blue. It's based on the original design for the Equation Composer giveaway and looks great! If you don't know what the Equation Composer is, it's basically a Eurorack module version of BitWiz for iOS - find out more at the Microbe Modular website.